External rotor motor design is similar to asynchronous motor design but the motor rotor is located outside of the stator winding and the stator with the windings is located in the motor centre. Such original modification ensures the unit compact size. The motor shaft is placed on ball bearings that are fixed inside the stator. The impeller is attached to the rotor casing. Such design provides air cooling of the motor which allows using the fans in the wide temperature range. All the motors and impellers are statically and dynamically balanced at the manufacturing facility. 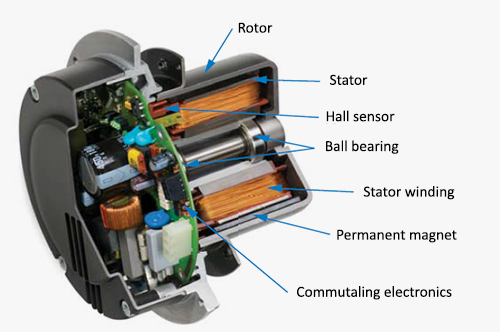 EC motor is an electric motor driven by electronically commutated direct current controller that has no friction or wear parts such as commutator and brushes found in standard direct current motors. This function is performed by maintenance-free EC-controller PCB. 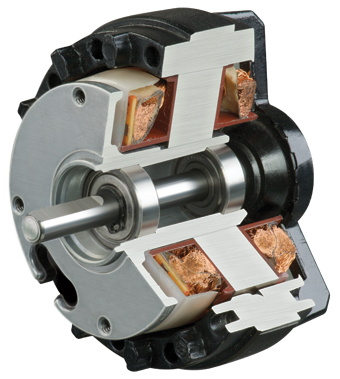 New electric motors are featured with high efficiency and the total controllable speed range. EC motor electronic controller enables extra functions as speed control depending on temperature, pressure or other parameters. central control of several fans integrated into a single system. Custom designed software provides high accuracy control of the fans integrated into network. The LED-display of the computer shows all the system parameters and the operation mode can be set individually for each fan in the network. Operating parameters of a specific fan integrated into the network can be centrally corrected to match the ventilation system parameters. Such technology provides adjusting the ventilation system in compliance with the customer requirements.